After breaking parliamentary rules, Boris Johnson has just been accused by a parliamentary watchdog of carelessness, disorganisation and a lack of respect. These are the traits which characterise his career. Under parliamentary rules, MPs are supposed to register any interests they have – things like outside jobs, company shares, hospitality they’ve received and property they own. Specifically, they are supposed to register any property which “(i) has a value of more than £100,000; or forms part of a total property portfolio whose value exceeds £100,000”. Boris Johnson registered his house in London but, for a a year, didn’t register that he owned 20% of a property in Somerset. He claims he “inadvertently misinterpreted” the rules. The parliamentary commissioner for standards accepted that he did not deliberately break the rules but said “he should have checked more carefully what was required of him”. We’re all sometimes guilty of not reading the small print but Johnson’s mistake is more serious than that. Firstly, because he aims to be Prime Minister, a job where quick understanding of large volumes of information is important. Secondly, because it’s not his first offence. It’s part of a pattern of behaviour. In December 2018, he had to apologise for failing to declare nine separate payments to him. As part of the investigation into which led to this apology, he was asked to check that his register of interests was up to date. He said he had checked and it was but it wasn’t. He had not declared the Somerset property. 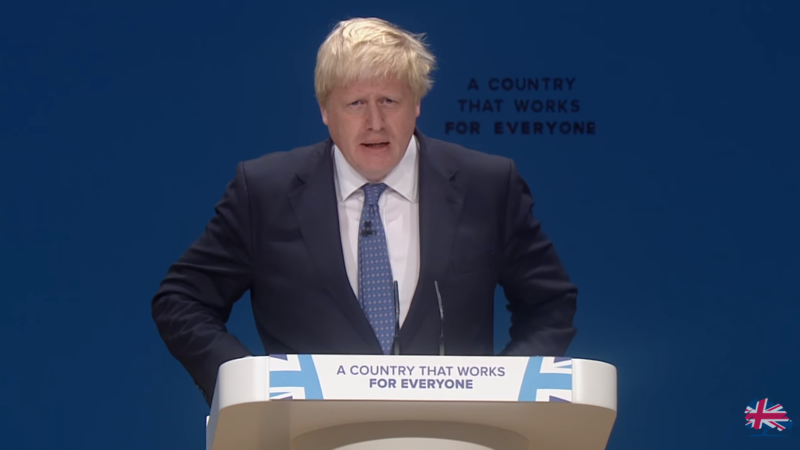 The committee on standards also accused Johnson of “an over-casual attitude to obeying the rules of the house” and criticised “a lack of effective organisation within his office”. Disorganisation, carelessness and blundering has characterised Johnson’s career. The examples are endless but a few favourites are: his rugby tackle on a Japanese child, his reciting of colonial poems during a diplomatic trip to former British colony Myanmar and his false claims that the EU bans selling big bunches of bananas. Yet Johnson’s mistakes go unpunished. Compare this to the sanctions meted out to ordinary people who don’t have a team of staff to advise and research for them. For example, if you’re unemployed and miss a job interview, you have your benefits suspended and you often either go hungry, go to the food bank or go into debt. If you park your car a few inches over a driveway, you can come back to find that your cars been impounded and you have to pay a private company like Serco hundreds of pounds to get it back. Fail to fill in your tax return because you’ve been made homeless? One man in this position was fined £1,600 by HMRC. All these mistakes are far more excusable than Johnson’s, yet the punishment is far greater. Despite all the carelessness Boris Johnson has shown throughout his career, he is still one of the favourites to be the next Prime Minister. Time and again these characters are being caught red-handed committing fraudulent acts, but the toothless Parliamentary Commissioner just accepts childish excuses and lets them off the hook. This man has a long history of lies and deliberate dishonesty. It’s high time he and his ilk were subjected to a thorough investigation of their financial dealings and interrogated thoroughly and deeply about their misdemeanors and not allowed to get away with pathetic excuses which would put of five-year-old to shame. The idea of B Johnson as PM is sickening. We now openly (apparently) as a country entertain the idea of people lacking in integrity to assume one of our great offices of state. Dear me! Unfortunately, the great mass of the ‘disgusted of Tonbridge Wells’ grassroots Tory membership don’t quite see it the same way as Joe and the wider Labour movement or even many Tory M.P.’s, They think the sun shines out from between his ample buttocks although many others may think that that part of his anatomy is capable or more intelligent speech than the other end of the alimentary canal! Boris is dangerous and should not be underestimated. He is perhaps more in tune with the wider Tory Party than someone like Gove!